I forgot my wireless speaker yesterday. Usually, the week before our Winter Break, my students enjoy listening to Christmas/Holiday music. Our new computers don’t have C.D. players, so I have a few playlists on my phone. However, the phone doesn’t sound very good without a speaker. Podsnack is a free service. You can access public playlists that have been shared by a link without even registering. If you do register (for free), you can create your own playlist by adding tracks from your computer (not iTunes), Dropbox, or YouTube. There is a Premium version of the service, but I haven’t needed that. Of course, make sure Podsnack is not blocked if you are using it in your classroom. And always preview the songs before playing them to make sure they are appropriate for your particular group of students. Podsnack is great to use in the curriculum as well. You can read about one great idea from my friend, LeAnne Hernandez. 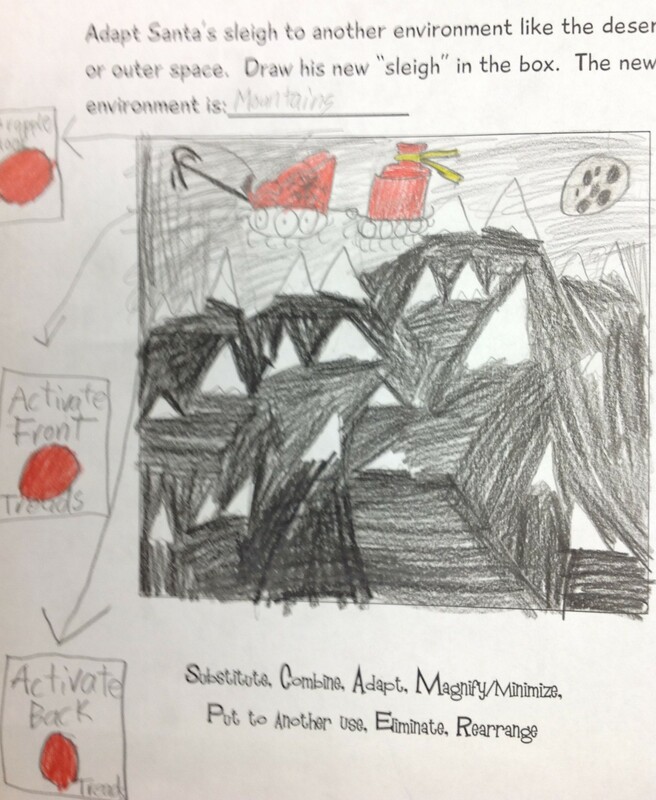 She won the Teachers are Givers contest this summer with this lesson plan. Below, you can see some of the creative thinking my 4th graders did yesterday while they were listening to our Holiday Playlist. 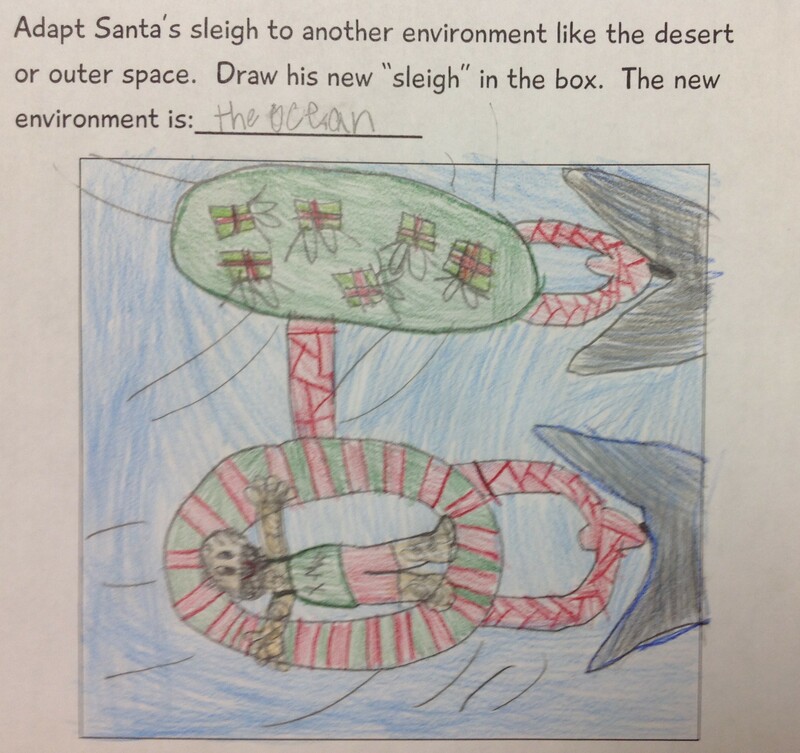 Their assignment was to “adapt” Santa’s sleigh to a different environment. If you are interested in more ideas like these, check out this post. Santa has his own inner tube connected to one carrying gifts. Whales are pulling them. I cannot even describe all of the details in this picture. 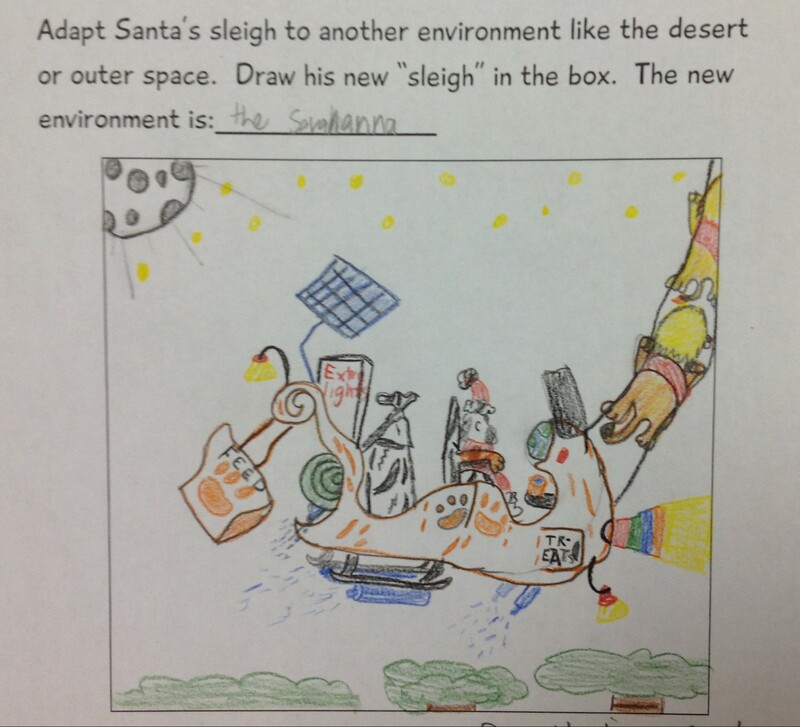 The sleigh is being pulled by lions and is also powered by a lunar panel (as opposed to a solar one). There is feed hanging off the end for the lions. 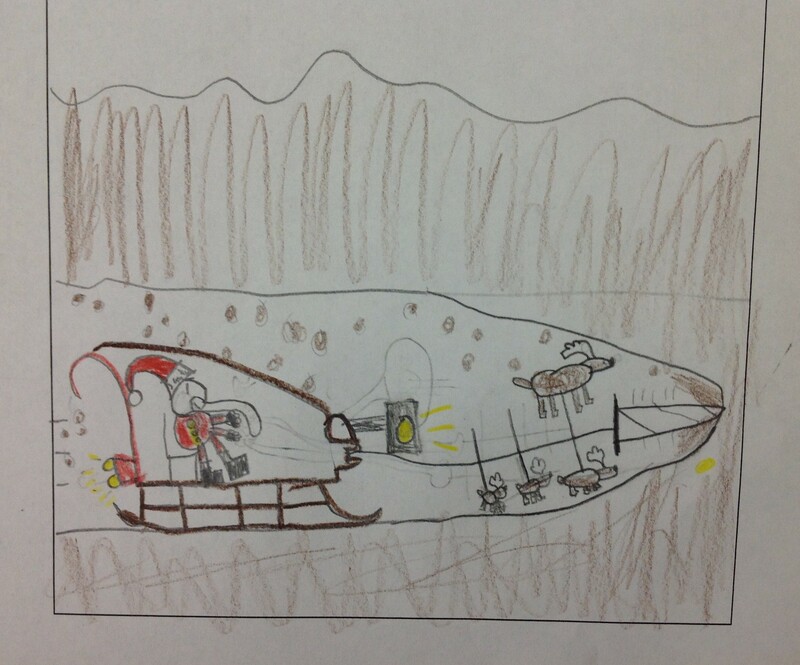 Here we have the sleigh outfitted with a drill for underground travel. Powerful lanterns are necessary, too. Sorry about the quality of this pic! My favorite thing about this one is the technical jargon on the buttons!